Calvet (Director: Dominic Allan): The story that Jean-Marc Calvet tells in this essentially one-man show is so unbelievable that you might find yourself not believing it. But director Allan, who doesn’t appear in the film, was on hand to assure the audience that he has done his research, and it all checks out. Here is yet another case where the truth is stranger than fiction. 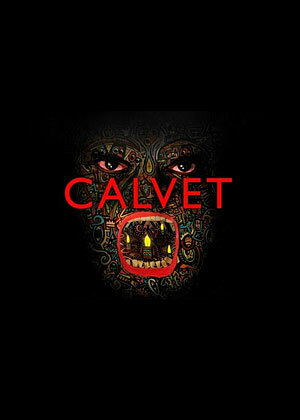 Calvet today is a renowned painter who lives in Nicaragua and sells his work in New York galleries. But less than a decade ago, he’d never picked up a paintbrush. Worse, he was a man on such a path of self-destruction that nobody seemed able to divert him. Sure, he’d been a troubled teenager growing up in the south of France, struggling with drug addiction and sexual abuse, but then he entered the Foreign Legion and traveled the world. He met a nice woman, got her pregnant, and became a cop. But even after his son Kevin was born, Calvet continued to dabble with the dark side. His drinking and drug problem never really went away, and he got into racketeering. He went on to work in private security, and even served as a bodyguard for American stars like Mel Gibson, Forest Whittaker and Tim Robbins who were visiting the Cannes Film Festival. Through connections, he began working as a bodyguard for a shady American who offered him a huge salary to come back to the States with him. But he’d have to cut off all ties, leaving his wife and young son behind. Taking a chance, Calvet moved to Miami to become the man’s trusted protector, but the arrangement soured when he realized he wasn’t getting the promised money. By this time he’d realized that he was working for a mobster, and the man was so paranoid that he had all his bank accounts in Calvet’s name. It was only a matter of time before Calvet began to look for an opportunity to get paid. When the time came, he absconded with more than half a million dollars and found his way to Central America. In Costa Rica, Calvet bought himself a house and a nightclub, but became too paralyzed by his fear to live the high life for long. It’s here where his addictions nearly took him, and his paranoia mixed with his tremendous guilt over abandoning his child. Punishing himself with larger and larger doses of drugs and booze, he began to hear voices and see visions. Almost in a trance, he discovered paint cans under his staircase and after plunging his fists into them, began to smear the walls of his house. In this way, he discovered painting. Years later, clean and sober and using his art as therapy, he resolves to find Kevin and hopefully to reconcile. While the first part of the film features Calvet remembering his past, the last half is unwritten as the filmmaker travels with him in search of his lost boy. It’s clear how important this is to him, and also how nervous he is about the outcome. The resulting film is by turns harrowing, gripping, and moving. Through art and sheer force of will, Calvet is able to destroy the dark parts of his personality and rediscover the lost boy in himself. Only then does he feel worthy enough to search for Kevin. Director Allan knows when to stay out of the way, although his visual and sonic touches do add considerably to the telling of the tale. And what a tale it is. This entry was posted in Documentaries, Film Festivals and tagged #mwff11, addiction, alcoholism, art, crime, fathers-and-sons. Bookmark the permalink.